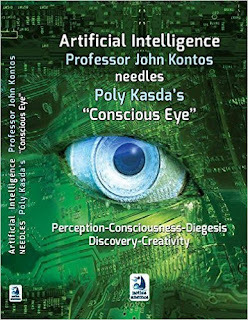 ARTIFICIAL INTELLIGENCE PROFESSOR JOHN KONTOS NEEDLES POLY KASDA'S CONSCIOUS EYE. 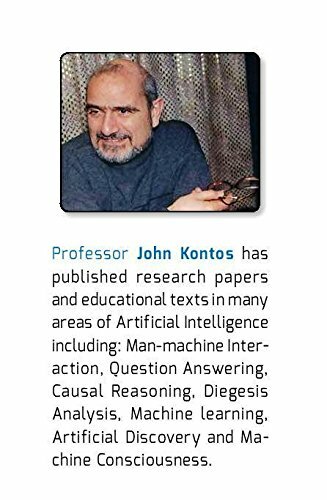 The present book is the result of a joint project of Artificial Intelligence Prof. John Kontos and international artist and author Poly Kasda. It offers a guide to recent scientific and technological literature for a number of topics mentioned in Kasda's older book The Conscious Eye (Aigokeros ed. Athens 1988). The present book could be useful for students in the fields of A. I., Art and Psychology. Kasda's book, subtitled Perception-Art-Informatics was based on her insight into the introspective state of mind of 20thc. artists as they shifted their attention from the object of art to the function of their own mind. Her thesis was partly supported by references to the then rising technology of A. I. as a tool of introspection. In the present book, Prof. John Kontos who had written an introductory note to the first edition of The Conscious Eye is rejuvenating this old, but still young text, by lifting it with a set of 'needlings'; injections that connect it with recent studies in the field of A.I. 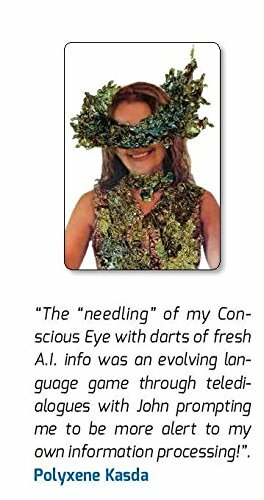 and particularly of Machine Consciousness; a technology inspired by human consciousness and introspection leading to the implementation of what he calls "autoendoscopic "systems..
Kontos' Needles are gathered in part A and an English adaptation of Poly Kasda's The Conscious Eye is in part B.